Prairie remnants, fens, and meadows; river banks; deciduous savannas (especially with oaks); and adjacent roadsides. The stamens and style are strongly exserted and the corolla is usually white, though sometimes pink. 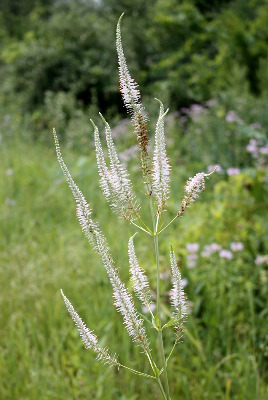 The leaves are glabrous or pubescent beneath. The Isle Royale (Keweenaw Co.) occurrence seems likely to be escaped from former cultivation, and the Gogebic Co. record is associated with a historic town site and also likely an escape. MICHIGAN FLORA ONLINE. A. A. Reznicek, E. G. Voss, & B. S. Walters. February 2011. University of Michigan. Web. 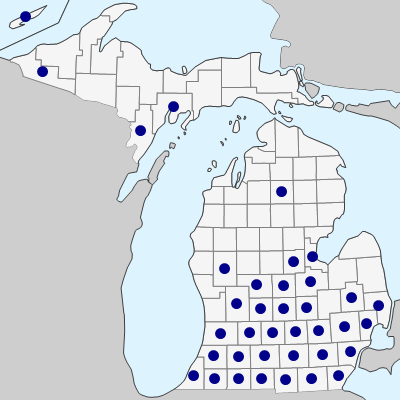 April 19, 2019. https://michiganflora.net/species.aspx?id=1987.